After that whole generation had been gathered to their ancestors, another generation grew up who knew neither the Lord nor what he had done for Israel (Judges 2:10). No one was left among God’s people to be witnesses to others of his mighty acts of deliverance, guidance, and grace. What was the result? The people did what they wanted and turned away from God because they did not know him. They then became prey to the nations around them. In their religion and their daily lives, they devolved into a people less and less recognizable as the people of God. How important is it to experience the work of God for us in Jesus, today? Experiencing God through the work of Jesus is just as vital for us in our lives today as it was for those generations so long ago. 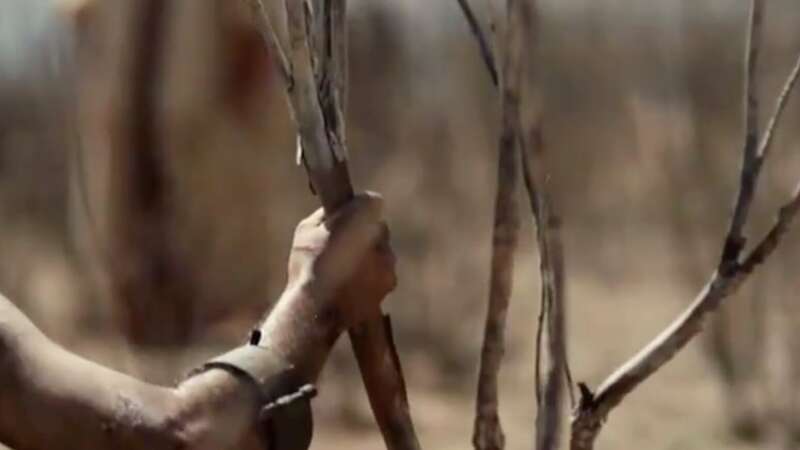 Like the man delivered from thousands of demons, we are to “Go home to your own people and tell them how much the Lord has done for you, and how he has had mercy on” us (Mark 5:18). However, our work as witnesses must not stop with testifying just to our “own people”! Jesus’ commissioned us to share it with everyone who is interested (1 Peter 3:15-16). We must commit to sharing our testimony to all people. We are to be Jesus’ witnesses to everyone, to “the ends of the earth” (Acts 1:8) and to "all nations" (Luke 24:47-48). Of course, there are a couple of problems with this challenge. First, we need to experience the work of God through Jesus in our lives. Second, we must be committed to obey and share what God has done with others. Let’s address both of those challenges briefly beginning with the commitment piece first. A willingness, at our heart level, to honor Jesus as our Lord. Preparing something we can share — the things we’ve witnessed the Lord do in our lives. Living our lives based upon the hope we have in Jesus. Treating others with gentleness and respect. Living good lives no matter the circumstances in which we find ourselves. Now for the first part: What do we share? Ah, that’s the witness part. We are to share what we’ve seen the Lord do in our own lives and the lives of those around us! We must NOT be like the people in Judges 2:10 — one generation after another that didn't know the great things the Lord had done for them! But, I don’t know what great things he has done in my life, my life is pretty boring. But, I’m not even sure what kind of great things I'm looking to find. But, I’m not sure he still does those kinds of things today. Living passionately for Jesus and giving thanks for his work in our lives is vitally important for us in having something to proclaim. Without intentionally obeying the Lord and giving thanks for what he is doing in us, we soon forget that he is at work in our lives. Our discipleship becomes the recitation of great things he did in the first century — there is no living witness to what he is doing now. However, if we obey and give thanks intentionally, we can witness the Lord’s work in our lives. 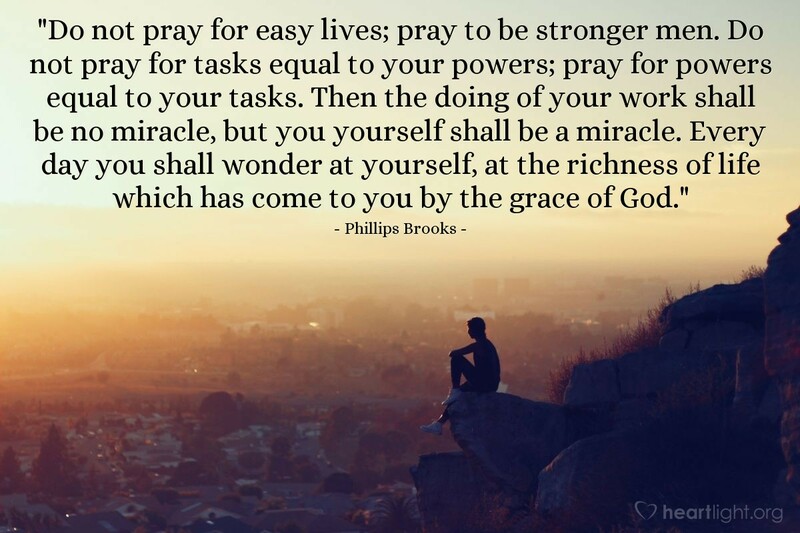 We can "live into" his answers to our prayers. We can experience his presence and power as we obey him. Intercedes for us when we pray. Empowers us as we serve. Closes doors we don’t need to open. Opens doors we need to walk through. Provides us gifts to use for ministry. Gives us words to say when we need to share our witness before those who are interested or hostile. Will always be at work to transform us to be like Christ. The Spirit’s presence is our power to both experience the great things God is doing through Jesus and also our power to be Jesus’ witnesses (Acts 1:8; Luke 24:48-49). As we live together in genuine fellowship and radical community — “there I am with them” (Matthew 18:20). As we care for those who are in need — what you did for these, “you were doing it to me” (Matthew 28:40 NLT). As we go to share the great news about Jesus with the world — “I am with you always” (Matthew 28:20). Very truly I tell you, whoever believes in me will do the works I have been doing, and they will do even greater things than these because I am going to the Father. And I will do whatever you ask in my name, so that the Father may be glorified in the Son (John 14:12-13). We have something to share! 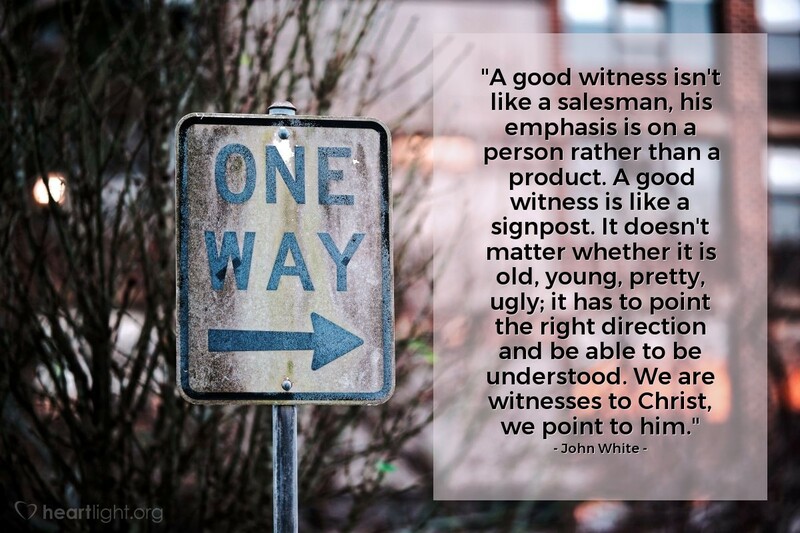 So, let’s be witnesses with those here, near, and far (Acts 1:8) like the first followers of Jesus were. Their lives were so identified with what Jesus did, that their critics recognized their power came from him! 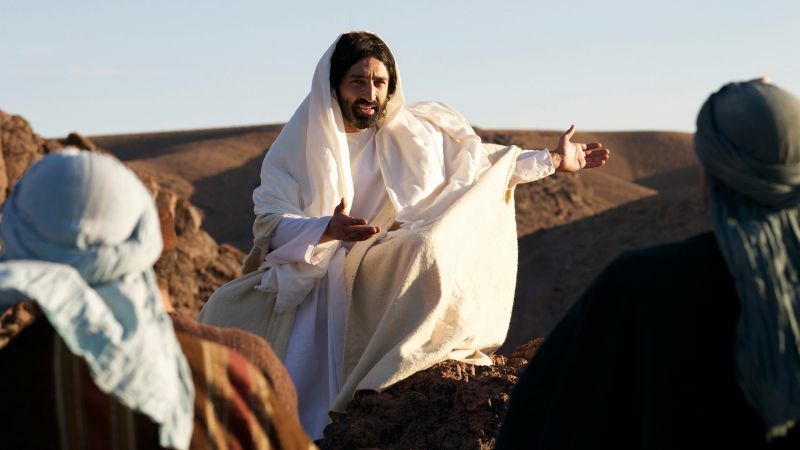 The members of the council were amazed when they saw the boldness of Peter and John, for they could see that they were ordinary men with no special training in the Scriptures. They also recognized them as men who had been with Jesus (Acts 4:13 NLT). [NOTE] The scripture references from Matthew are the direct uses of the name "Immanuel" or phrases that are synonymous with its meaning — "God with us." Notice the synonymous phrases: “I am in your midst,” “you have done it unto me,” and “I am with you always...” In addition, the contexts that surround these passages define and explain the four moves to experience Immanuel that Matthew is emphasizing. See, the genealogy of chapter 1, the emphasis on the practices and values of the radical community Jesus describes in chapter 18, the parable of helping those in need in Matthew 25, and the Great Commission of Jesus in chapter 28. Today's message is part five of an eight-part series called 8GHT — Eight Truths that Turned the World Upside Down! "The Revolutionary Power of Witnesses" by Phil Ware is licensed under a Creative Commons License. Heartlight encourages you to share this material with others in church bulletins, personal emails, and other non-commercial uses. Please see our Usage Guidelines for more information.